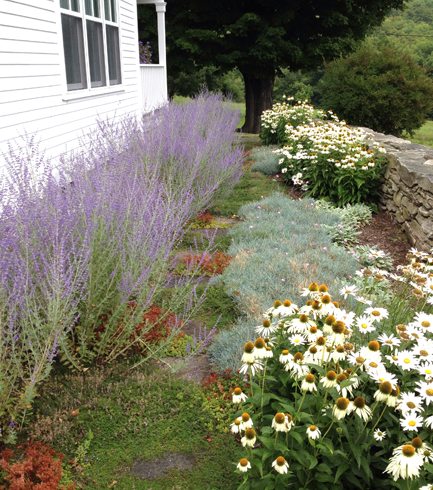 Jack Rossi Landscape Architecture (JRLA), founded in 2004, is a full service landscape architectural practice with offices located in Woodstock, Vermont and Cambridge, Massachusetts. Our work strives to craft sculptural, evocative spaces through the skillful integration of art, architecture and landscape. By careful observation and analysis, the unique character of each site is matched with the individual needs of the client in a highly aesthetic, economically resourceful, and environmentally sustainable solution. In this process the site’s inherent quality and individuality is revealed, resulting in an expressive, meaningful, and memorable landscape. JRLA’s design expertise is supported by an exceptional level of knowledge of the technical aspects of site construction and ecological processes. Our experience has proven that successful designs result from a close collaboration between client, landscape architect, and consultants. We regularly consult with architects, engineers, artists, horticulturalists, and community leaders to ensure a comprehensive approach and sharp attention to detail at all levels of the design and construction process.